Production on 20th Century Fox's The Fantastic Four reboot has been under way for a few months, although there is still very little we know about the story. 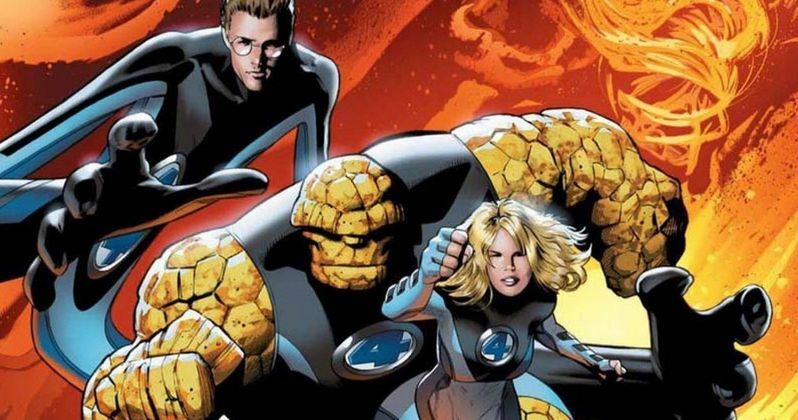 It's been widely rumored that the plot will be taken from the Ultimate Fantastic Four comics, which features a much younger group of superheroes, mirroring the younger cast that includes Miles Teller (Reed Richards), Michael B. Jordan (Johnny Storm), Kate Mara (Sue Storm) and Jamie Bell (Ben Grimm). 20th Century Fox's production president Emma Watts hinted in a recent interview that the reboot may include found footage elements. Here's what she had to say, when asked if director Josh Trank will bring any found footage aspects over from his directorial debut, Chronicle. "It's Josh, so it can't not have that feel. That's his talent, that's what he does, and that's what excites him about it. It is a really interesting young cast, and he is the magnet that's brought them all together." She went on to say that the director is the key to "not letting superhero movies go stale." "We're making a big bet for 2015 with The Fantastic Four and director Josh Trank. To me, the key is the originality of the filmmakers and the choices they make. Josh is another really interesting example, who is using the vision he gave us in Chronicle to reinvent a franchise he's loved his whole life. It's not that you can't make original ideas -- you can, and we did it with Chronicle. The director is the key to not letting superhero movies go stale. That's the truth." Emma Watts also addressed X-Men: Apocalypse, the follow-up to 20th Century Fox's current blockbuster X-Men: Days of Future Past. When asked if Bryan Singer still plans on coming back to direct the sequel, the executive had this to say. "Right now we are totally at the outlining phase. But nothing would make me happier than if it all worked out. It's always been the intention for him to do it." Do you think there should be found footage elements in The Fantastic Four? Do you want to see Bryan Singer come back to direct X-Men: Apocalypse? Chime in with your thoughts below.